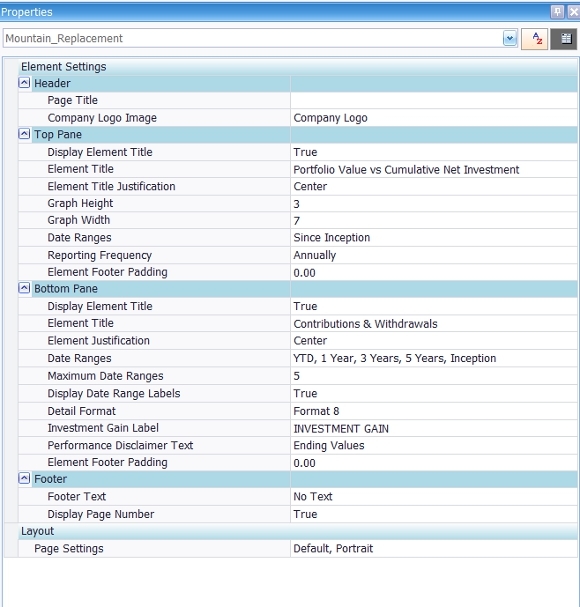 PortfolioCenter Mountain Chart Replacement Let us manage the data, so you can manage the money. 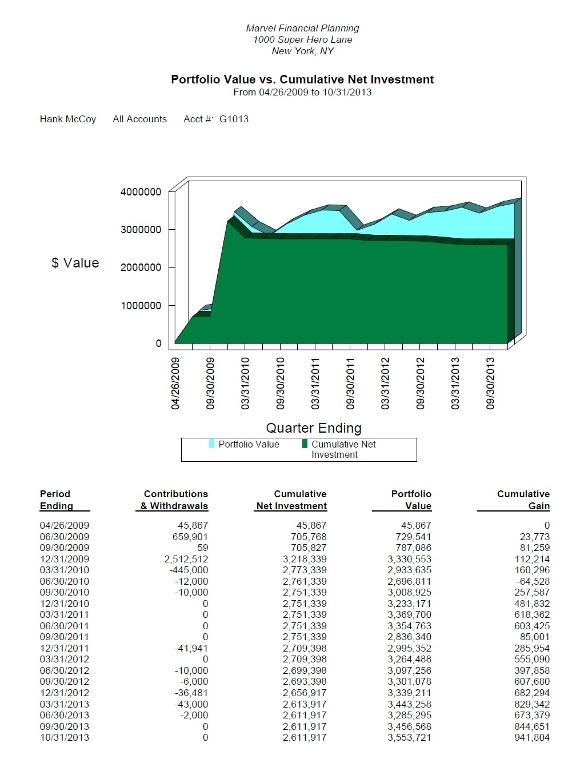 Q. I love the look of the new Presentation Studio reports in PortfolioCenter but I really miss the text summary section on the traditional analytical mountain chart (aka Portfolio Value vs Cumulative Net Investment) in PortfolioCenter. Is there a way to recreate that information in Presentation Studio? A. 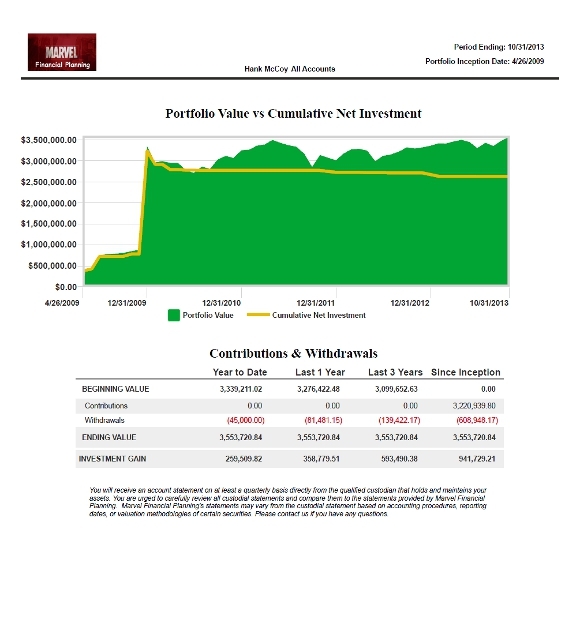 The text summary on the traditional PortfolioValue vs Cumulative Net Investment report (PV vs CNI) summarizes the Contributions & Withdrawals, Cumulative Net Investment, Portfolio Value and Cumulative Gain. There is no exact replacement for the text section in Presentation Studio at this time. But your question posed an interesting challenge: How close could I get to duplicating the information contained in the text summary with the new customization tools in PortfolioCenter 5.8? Here are my results. I also added a “legalize” footer about comparing PortfolioCenter reports with brokerage statements. Many managers of my managers have been adding this kind of disclaimer to reports which contain ending market value as a result of SEC audits in the post-Madoff world. Note: Use Format 8 in the bottom element. For more date ranges in the bottom element, turn the page to Landscape and change the graph width to 10.